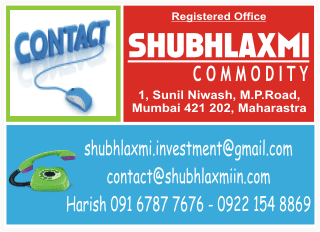 MCX Lead crossed the high of Rs112.2, it however felt the heat at the higher level. As a result, the price has corrected down. It has fallen from the daily upper Bollinger Band and has broken the 20 day moving average (DMA) as well as the 40 day exponential moving average (DEMA). The weekly upper Bollinger Band added to the downward pressure. The daily momentum indicator has triggered a bearish crossover. As can be observed from the chart, Lead has broken a rising channel. It can attempt for a retest of the channel line and the moving averages ie Rs107. At that level fresh short positions can be initiated with reversal of Rs111. The targets would be Rs102.5 – 98.5.